My friend Bri was in town this past weekend, and we had the best time together! 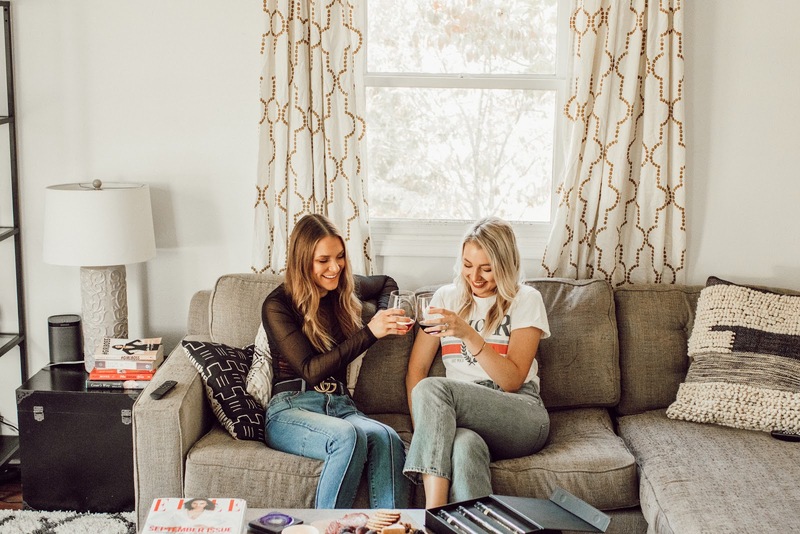 Photographing outfits, at-home wine tasting and yummy snacks, making dinner for our guys, and then obsessively editing photos for hours on the floor while the boys watched baseball and football (we even pulled an extra TV into the living room for the occasion 😂). 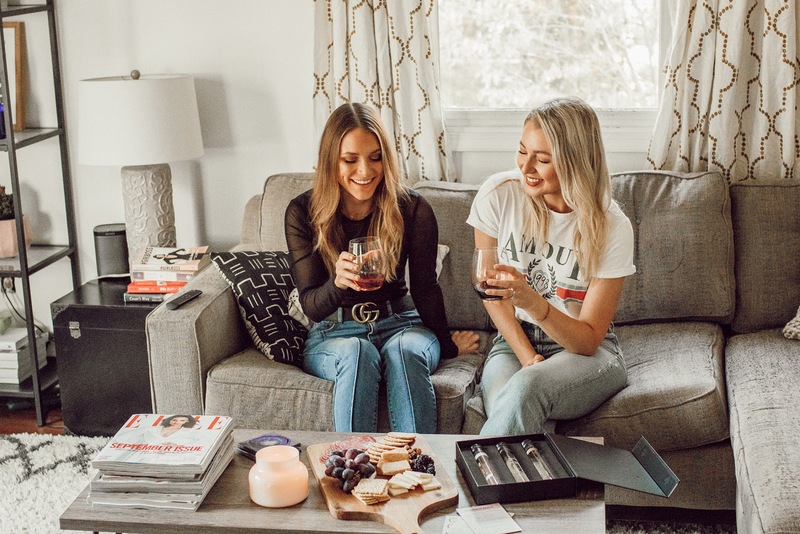 Did you catch where I mentioned at-home wine tasting?? It was glorious. 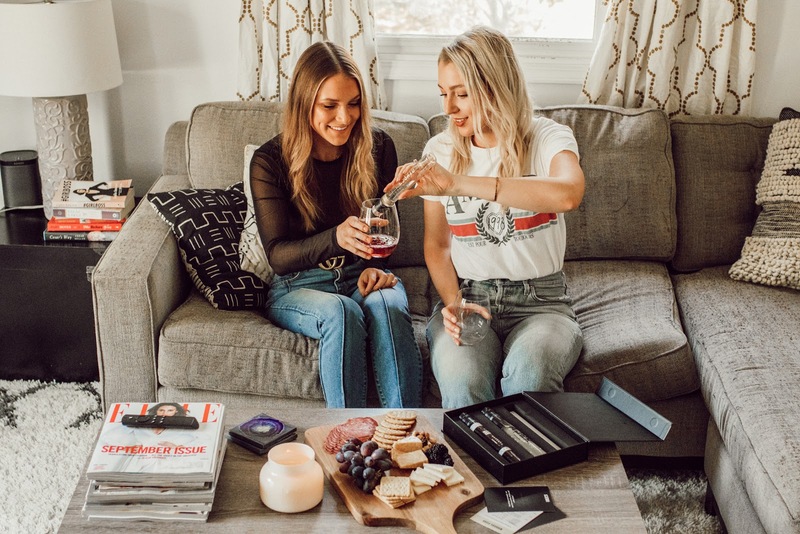 Trey and I absolutely love trying new wines together, and learning about them as well, so I was so excited to partner with Vinebox for this post. 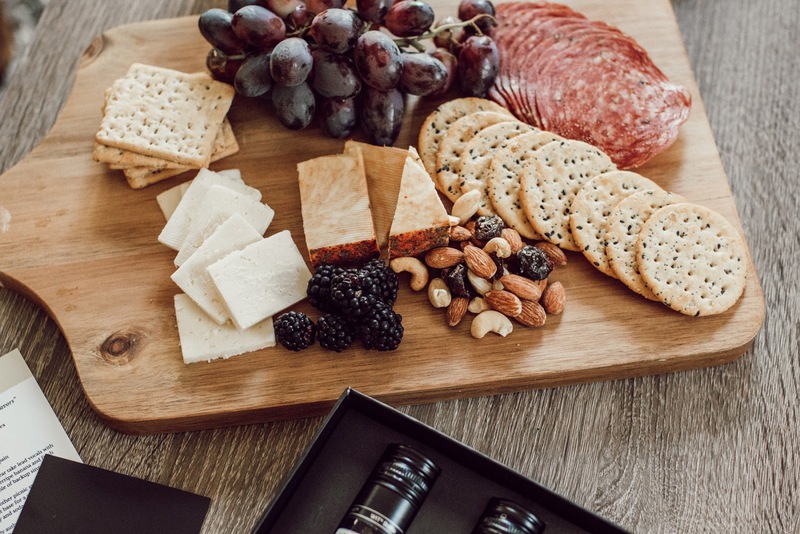 Once it was planned for Bri and Matt to hangout with us on Saturday, I knew it would be fun to try some new wines all together and to snack on some charcuterie board goodness. We don't entertain super often, so I was jusstttt a bit excited. 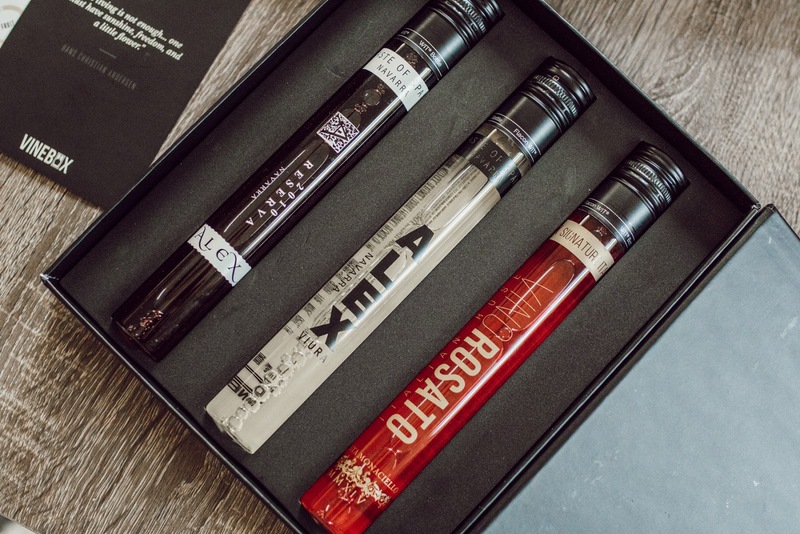 Vinebox is an amazing subscription service that sends you three incredible glasses of wine from small European vineyards each month. 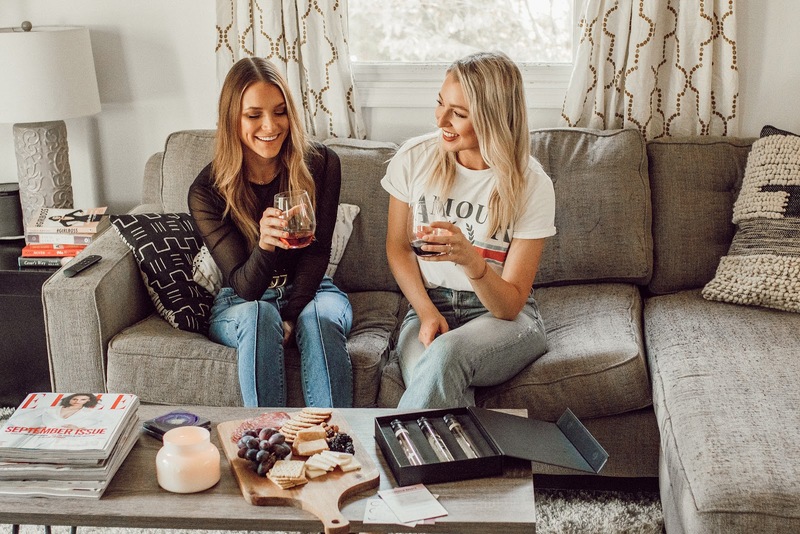 You can even take a quiz to help determine your wine preferences (anyone else obsessed with little quizzes??). These are high-end, uncommon European wines that you get to try while cozy on the couch or on a picnic no matter where you live. For me it's a little taste of Europe all the way in Small Town, Missouri. Pretty dreamy, yes? We were all big fans of the packaging, and with the little cards that accompany each glass of wine. 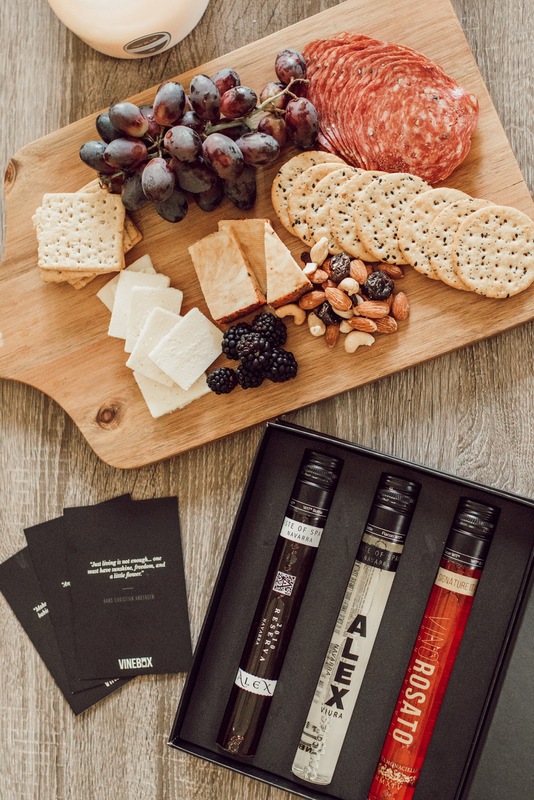 Each card has a witty quote, information about the grapes used, the flavor profiles of the wine, what to pair it with, and more. My favorite descriptor? 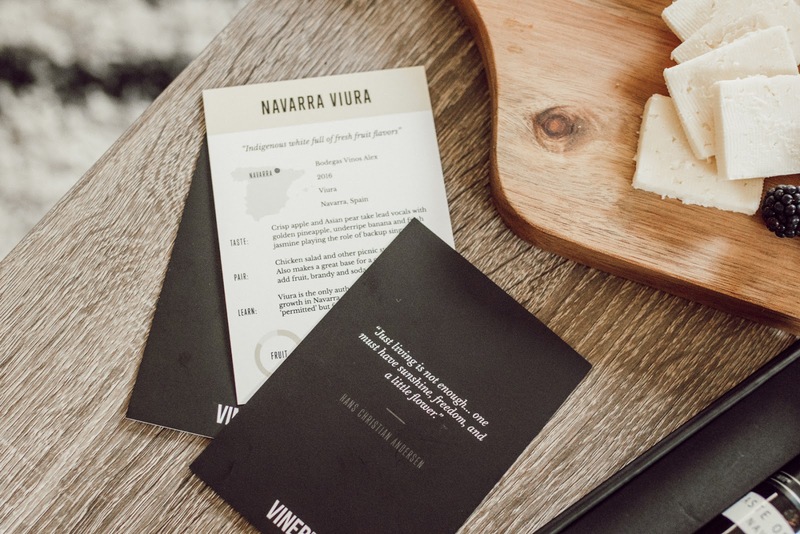 "Fruit forward AF" describing the Nero D'Avola from a vineyard in Sicily. Also, you know I love some good branding, and Vinebox has nailed that. Their website and packaging are so chic! I'm a fan on all fronts. We had so much fun sampling different wines and learning about where they came from, and there wasn't a wine we didn't love.